I enjoy creating art, film, sculpture, poetry, music and literature that draws inspiration from mathematics, builds connections between ideas and helps reveal mathematical structure in everything around us. Change ringing is a performance art wherein church bells are rung to play every possible permutation of notes. 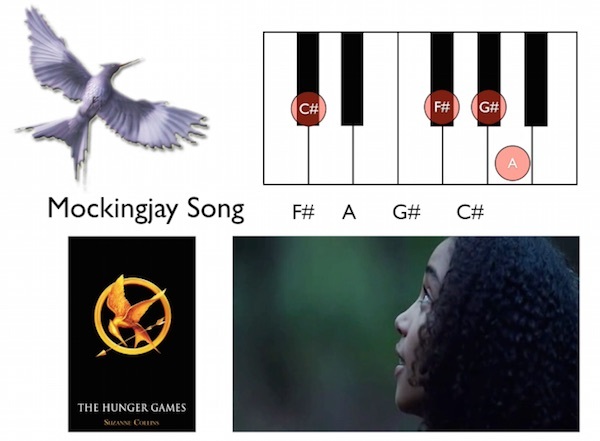 We use an algorithm to generate all of the permutations of the 4-note "mockingjay song" whistled in the film "The Hunger Games", and use these permutations to create a melody.